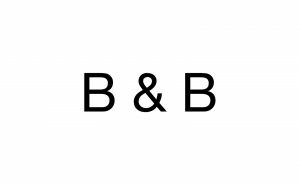 B&B was established in 2010. Team of experts in the Intimate Apparel Industry, with both technical and marketing backgrounds. Best fitting and comfort, thanks to the know-how not only of our product but of the final garment. The product development team is using the latest technology in 3D scanning, CAD design and CNC machines to enable quick responses to customers requests. Using the latest computer software to enhance mould design. All moulds are manufactured by B&B using CNC technology. Hot Melt lamination line is configured to laminate dot or full coating. The configuration allows quick change overs between TPU or PUR based glues. We use one of the most complex machines currently in the market for the lingerie industry. All settings are fully programmable and linked to the machine manufacture. Full range of Moulded Foam & Spacer Cups, Plunge, Demi, Full Cover, Balconette & Strapless.  Full range of cups with embedded wires, and Inserts consisting of, Foam, Air, Gel and Oil.  Specialized Moulds for Foil print, 3D embellishment, etc.  Commission lamination for fabrics and foam. A preferred strategic partner for some worldwide leading brands such as Oysho, Tommy Hilfiger, Jockey, and Vanity Fair etc.